All moths and butterflies go through complete metamorphosis, from egg to larva to pupa to adult. In fact, the caterpillar stage is part of the four-part lifecycle of every butterfly and moth. 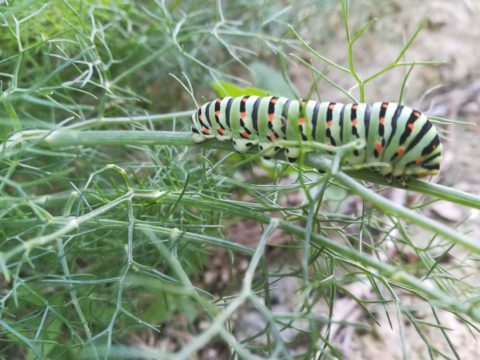 Caterpillars have soft bodies, sometimes protected with hairs, and a head with chewing mouthparts, since they are avid grass-eaters. 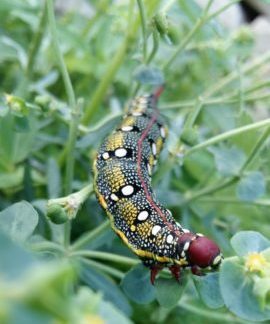 Their colour patterns are good camouflage, whilst some caterpillars are poisonous to deter predators. Despite Malta’s small size, the insect fauna is quite considerable. In fact, about 20 species of butterflies and about 500 species of moths have been recorded from the Maltese Islands. Often the caterpillar makes a cocoon to protect itself before it transforms. Inside the pupal case, the moth or butterfly completes its transformation to the final stage and emerges as a winged adult, important for their roles as valuable pollinators. This time of the year is amongst the best to encounter caterpillars and butterflies in the surrounding countryside of Dingli Cliffs. The FREE guided walk of Tour B at The Cliffs Interpretation Centre allows us to appreciate more these elusive creatures.